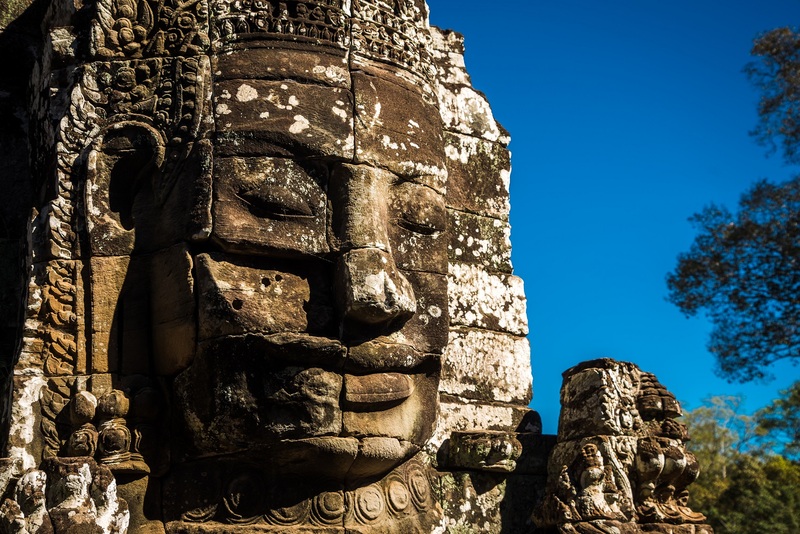 We wrote about Angkor Wat in our previous post but there are numerous other temples in the Angkor complex that are worth a visit. 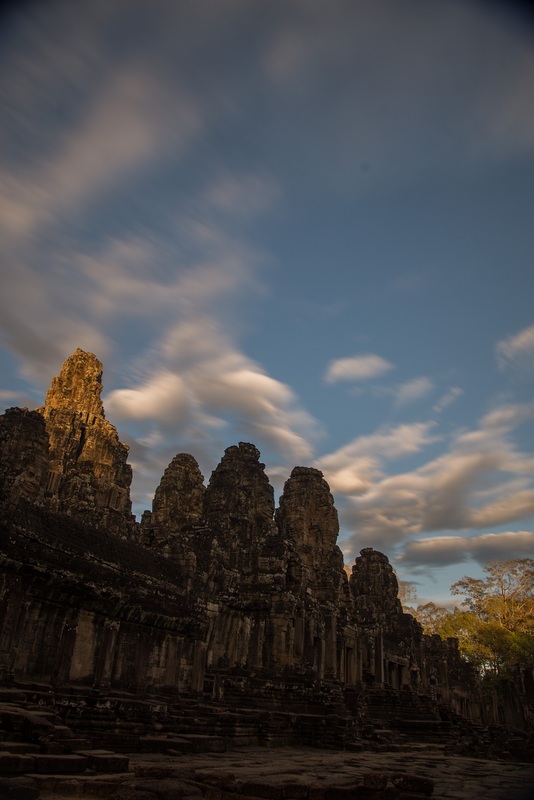 On our first day after the sunrise at Angkor Wat we reached Bayon – the temple with many faces, somewhere around 11am. The sun was already quite high up casting harsh shadows across the temple. This was not the best time for photography but scoped the place for later on. We did grab a few nice shots though with both our camera and phone. In the afternoon the first stop was Ta Prohm, featured in Tomb Raider amongst others. 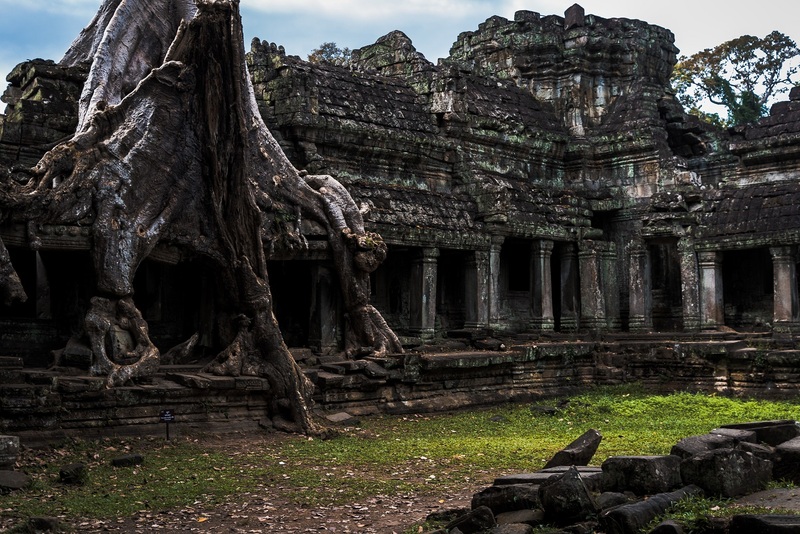 If Angkor Wat shows the ingenuity and capabilities of humans, Ta Prohm is the conquest of nature and time slowly taking over. Trees overtake, hug and cover the walls, towers and doors, slowly swallowing everything back. It was mostly overcast and since what once used to be a temple is now surrounded by trees, it was quite shady. 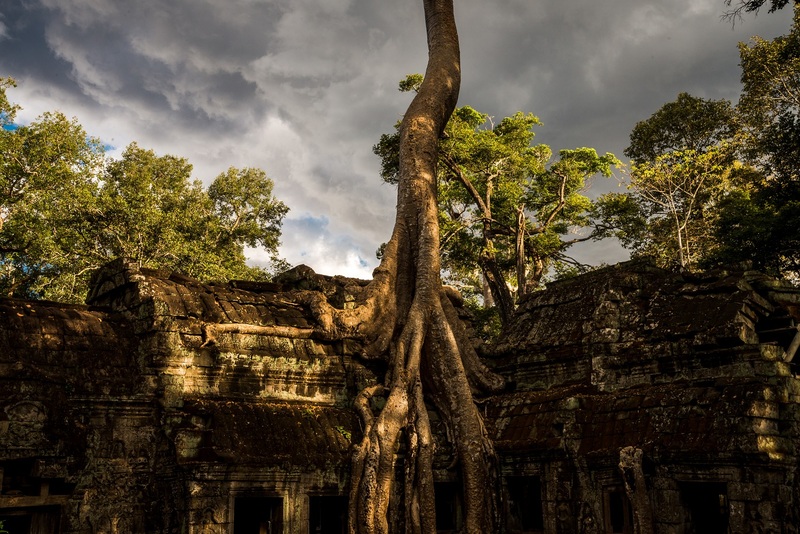 We took a photo at the most photographed tree in Ta Prohm right as some sunlight escaped from behind the clouds. Although this was not pure luck – we were waiting for quite some time here. In order to avoid the queue in the picture, we moved back and zoomed in a bit on the top part. After, we wandered around photographing multiple overgrown building-hugging trees. For sunset we went back to Bayon. It was rather empty. We waited until the sun was only hitting the top tower and used an ND (Neutral Density) filter to catch some movement in the clouds. There was still some sunlight left when we were driving back. On the bridge right after exiting the gate of Angkor Thom, the canal caught my eye. The clouds were reflecting in the water below, the trees on the side of the canal were acting as leading lines into the horizon. For foreground we used the only thing available at that point, a log sticking out of the water. This great combination of colours only lasted for a few minutes. Next morning we were at Bakong temple, part of Roluos group which is east of Siem Reap. 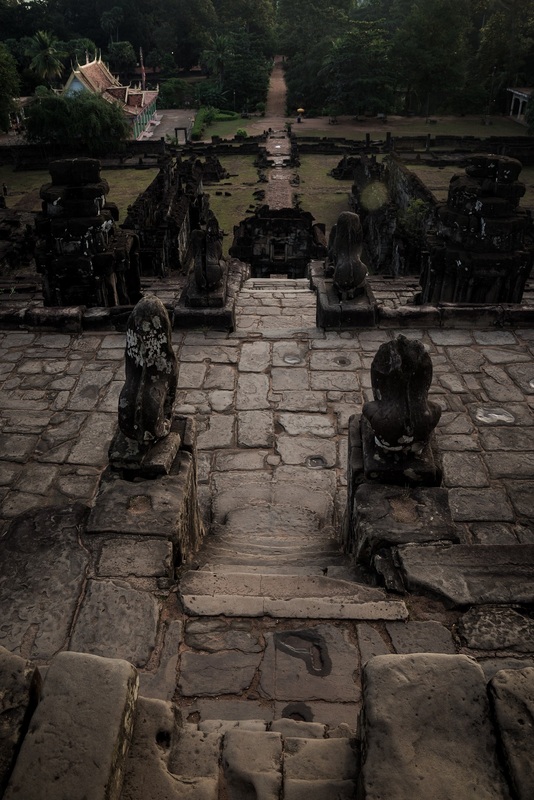 When we arrived there it was still dark, and the only other people around were the monks from the nearby pagoda. Again, sunrise came but the sky was overcast so I settled with a few shots. While photographing the framed temple, one of the monks came around looking at what we were doing, shy but also curious about the photographs. We showed him several from the camera as well and he was happy as a child seeing his temple. As we were leaving we saw a hot air balloon flying past the temple so we captured that one as well. 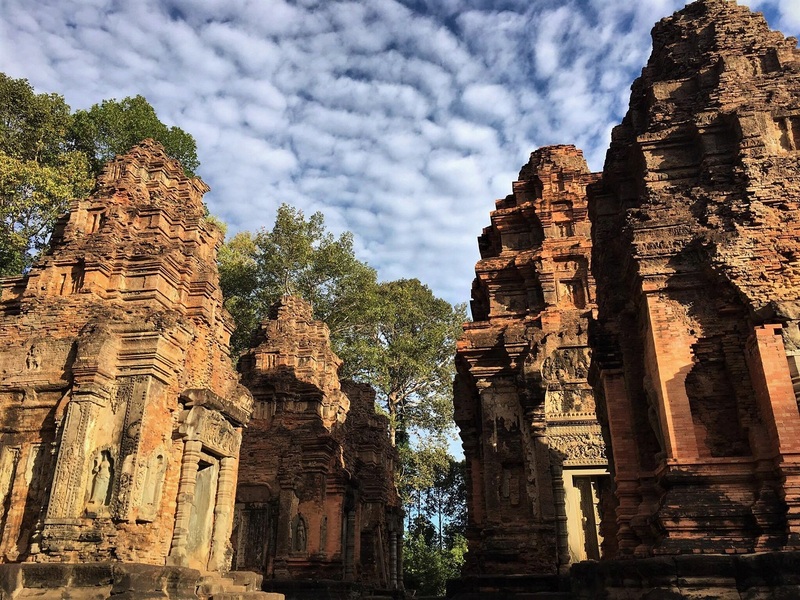 At Preah Ko the sun started to shine through the clouds. It was still low in the sky and making use of the cloud patterns above we ended up with this image. We couldn’t leave before taking a shot with our compass either. 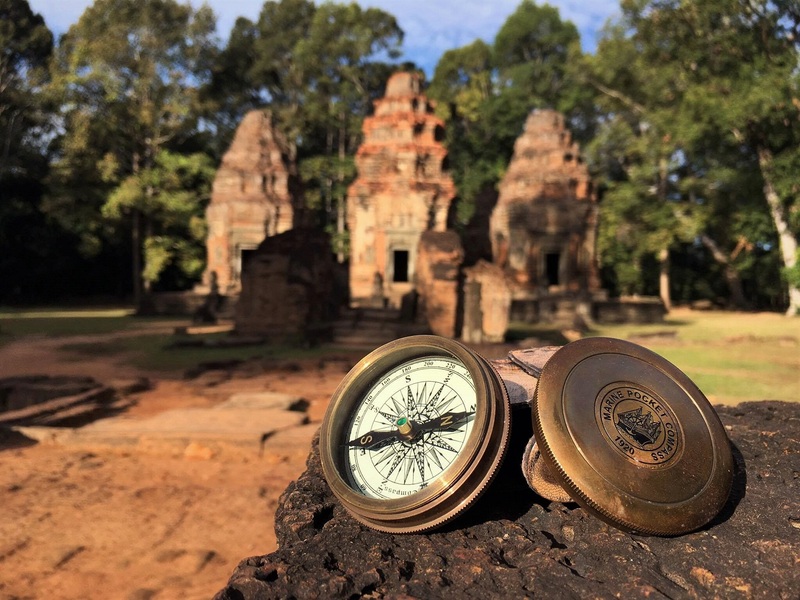 Next on our list was Prasat Lolei – we took the tuk-tuk on some back roads and ended up here, stayed for several photos then returned back to town. Very few people seem to visit the temples from Roluos group, however if you have time it is a worthwhile experience. In the afternoon our first stop was Phnom Bakheng. This is the only temple that we’ve been to where they give you passes at the entry, so as to keep track of the number of people on top. 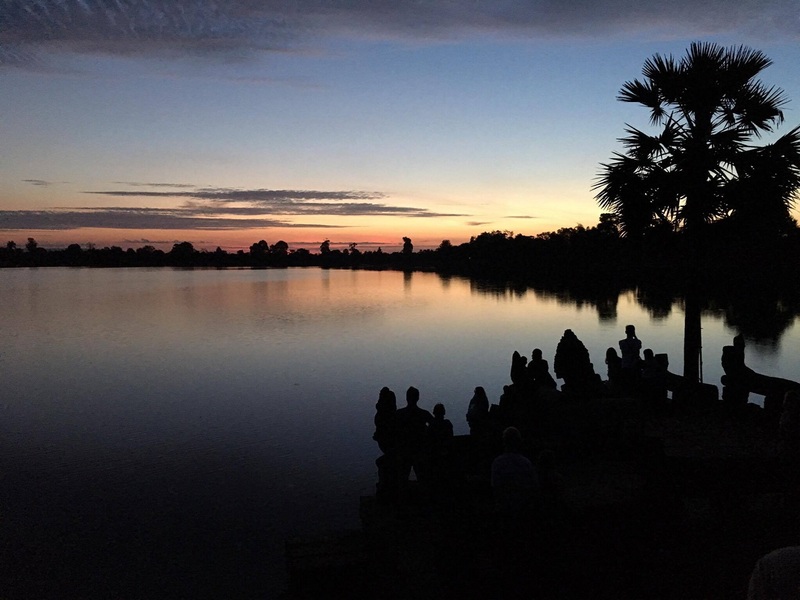 Since this is located on a hill, it has a great view across to Angkor Wat and people gather here for the sunset (thus the passes). There were still a few hours until sunset so we decided not to stay here and visit Angkor Wat at sunset as well. On the third morning at first light we were at Sra Srang, what used to be the royal bathing pond. 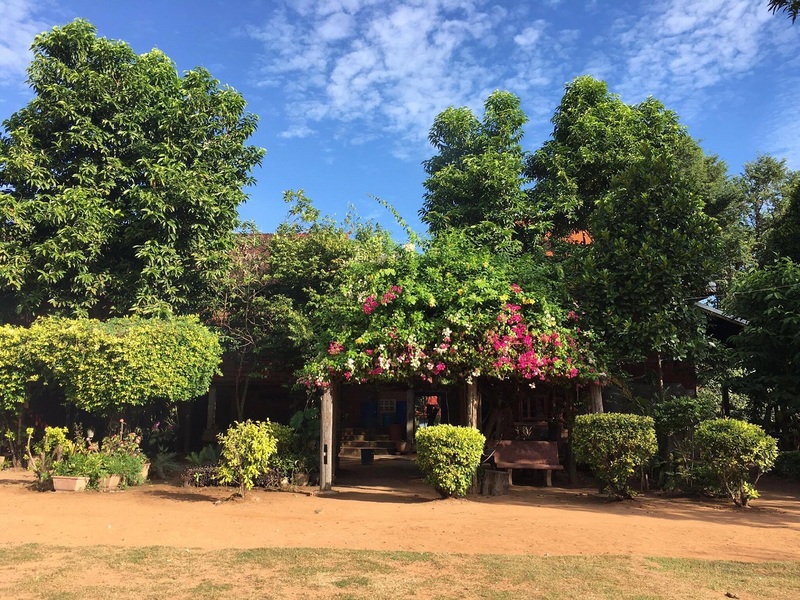 We spent a bit of time here and afterwards we went across the road to Banteay Kdei – this too is one of those temples that is being overrun by nature. After walking around for a while, we decided to head back into Siem Reap, since we had multiple temples planned for the afternoon. 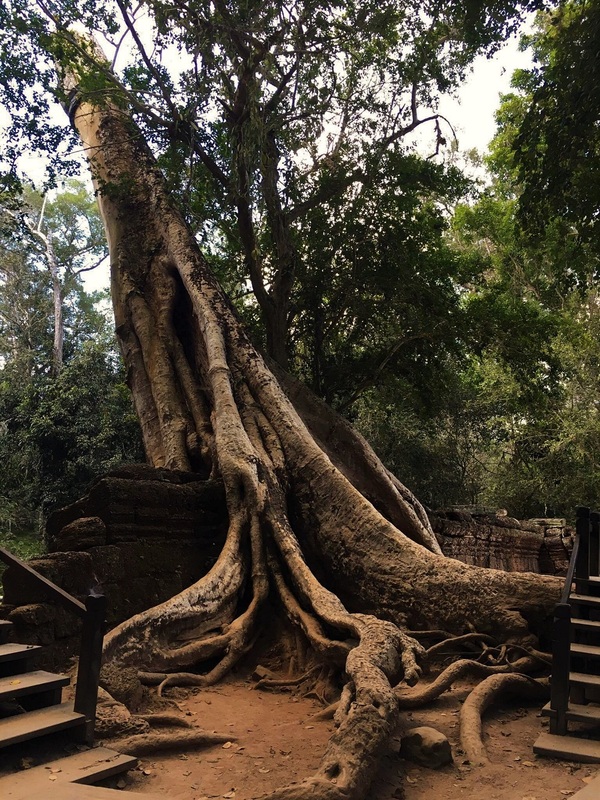 First one in the afternoon was Preah Khan – yet another temple that is slowly covered, hugged by nature with big trees sprouting from the most unusual places across doorways or over the roofs. Neak Poan was a bit different. Rather than a temple, you find a monument in the centre of what seems to be a pool. In order to get here there’s a long straight wooden pontoon from the road. Unfortunately at the time we were there, you weren’t allowed to go all the way to the back. We settled with some pictures of both the monument and the pontoon. Next on our list was Ta Som. 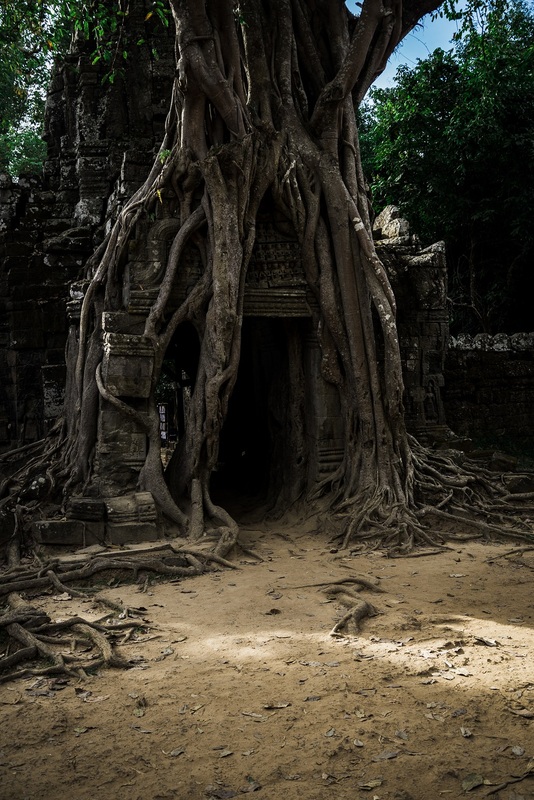 This temple, just as Ta Prohm is covered by trees and, just as Ta Prohm, it has an iconic place – the tree archway – a multi-branched tree covering almost symmetrically a doorway of the temple. Since we had a plane to catch in the evening, we rushed a bit to see two more temples, East Mebon with it’s interesting elephant statues and Pre Rup for sunset. We stopped for some food in the town before heading to the airport on our way to Bangkok. But that’s a story for another time. Your pictures are amazing – I’ve never seen anything like it. I guess it’s time for me to travel to Asia 🙂 Thanks a lot for sharing! Thank you, Sina. You will love it there for sure. Thank you, Tracy. When are you planning to visit? 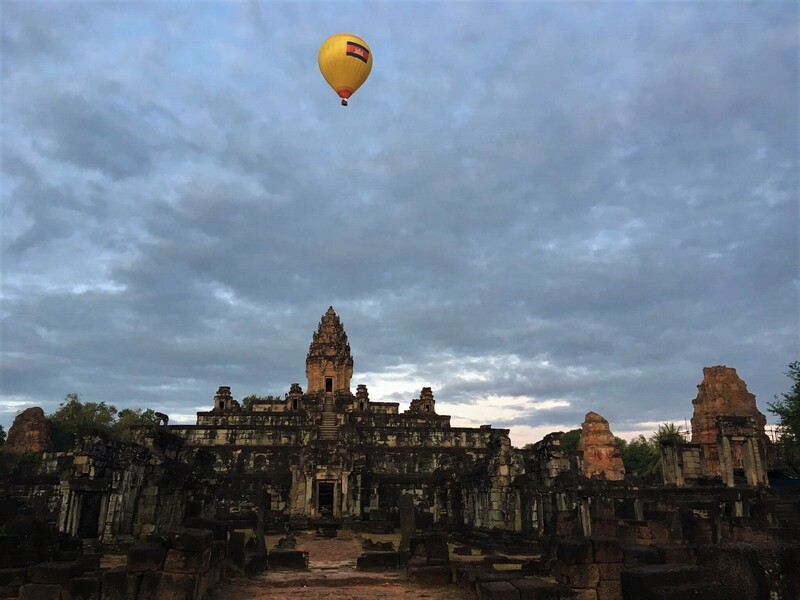 You will fall in love with Angkor Complex. 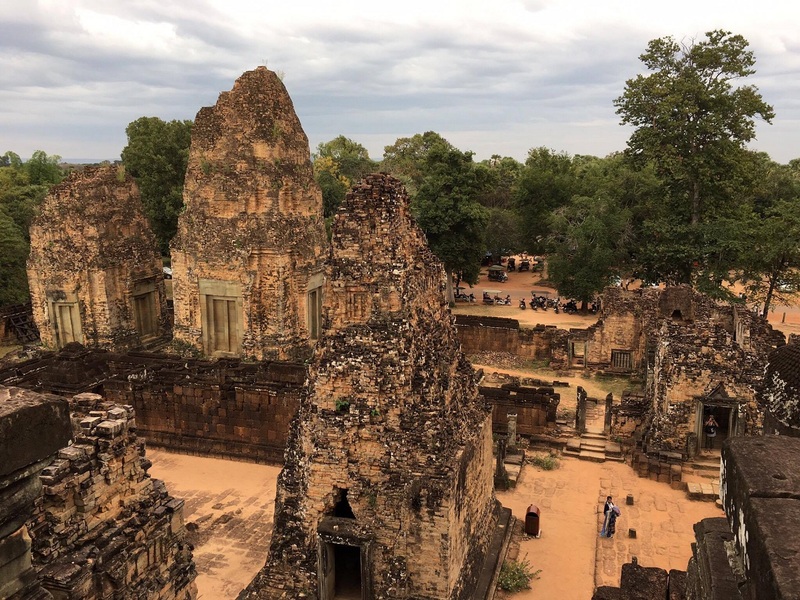 Diana, I would recommend taking a 3 day pass if you want to see more of Angkor. I am looking forward to seeing your pictures. 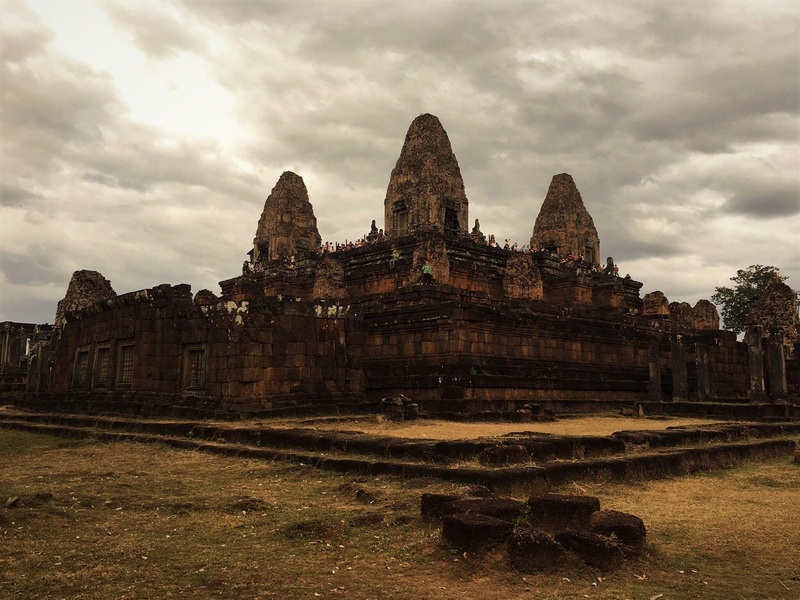 Beautiful photos, Oana, and really great to see some of the less photographed temples. Thank you, Shona. 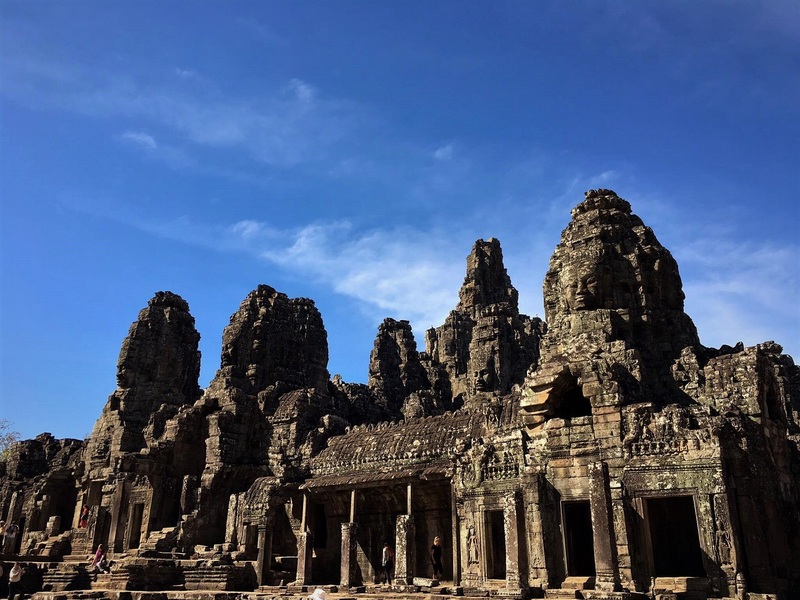 Not many people go to the small temples, they focus more on Angkor, Bayon and Ta Prohm. I found all the temples to be worth visiting, each has something different. Incredible photos! 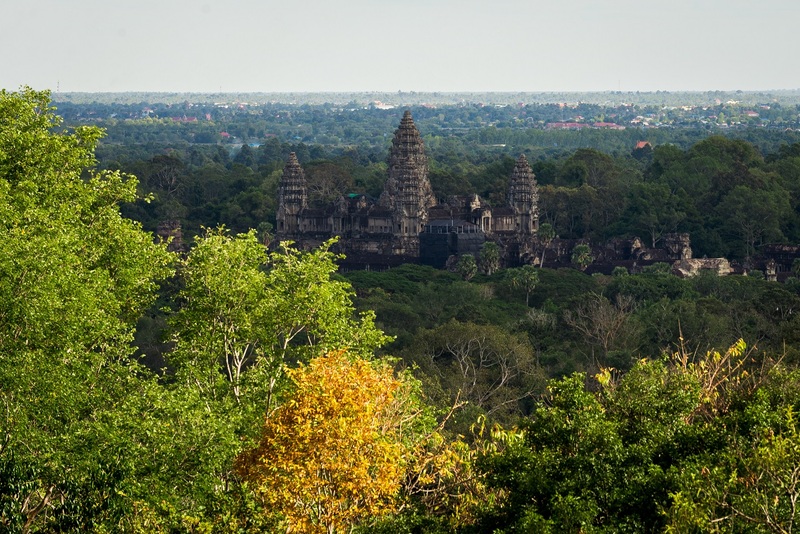 (as always) We wanted to go to Phnom Bakheng but didn’t make it, the view of Angkor Wat looks great from that elevated position. However we did do Pre Rup for sunrise which was incredible and one of our favourite memories. I love how you’ve composed some of your shots with the doorways too, great stuff. Thank you, Garth. The hike to Phnom Bakheng was worth it, the view to Angkor was great. 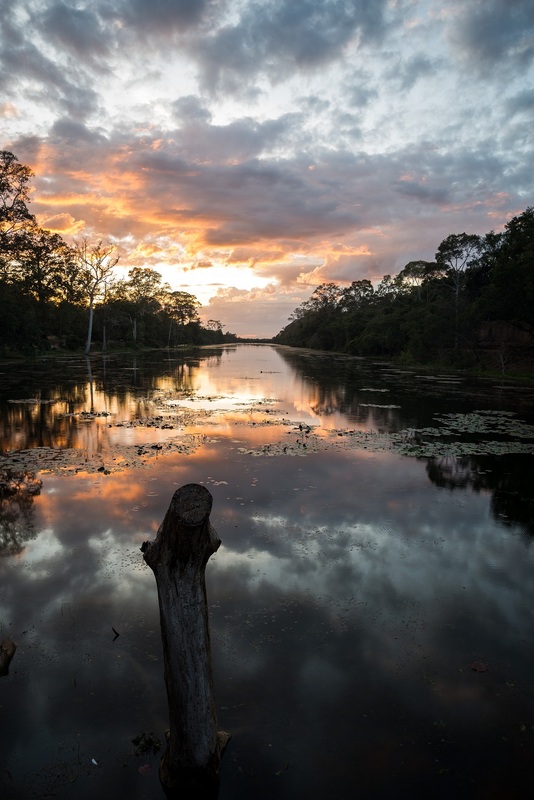 I bet the sunrise at Pre Rup was incredible as well – we only went for sunrise and it was cloudy. Wow, this is amazing! I would love to go here one day (here and everyplace else in the world!) Pinned for later! Jenn, I agree with you. I would love to go everywhere as well – too bad I don’t have time to do so. Thank you, Sam. 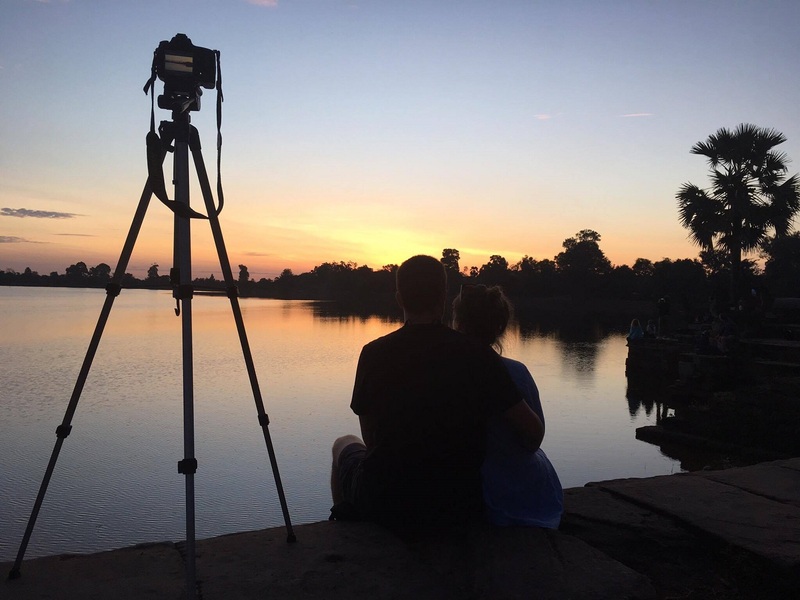 I am glad we managed to capture the real spirit of Angkor through our photos. I can’t even imagine a place like this. Now that we live in Portland, Oregon we are so much closer to Asia. What was your favorite part of the trip? Scarlett, I spent more than two weeks in Thailand and Cambodia and everything was different than what I was used to. It might sound cheesy but I enjoyed everything and is hard to tell which part was my favourite. Thank you, Angie. 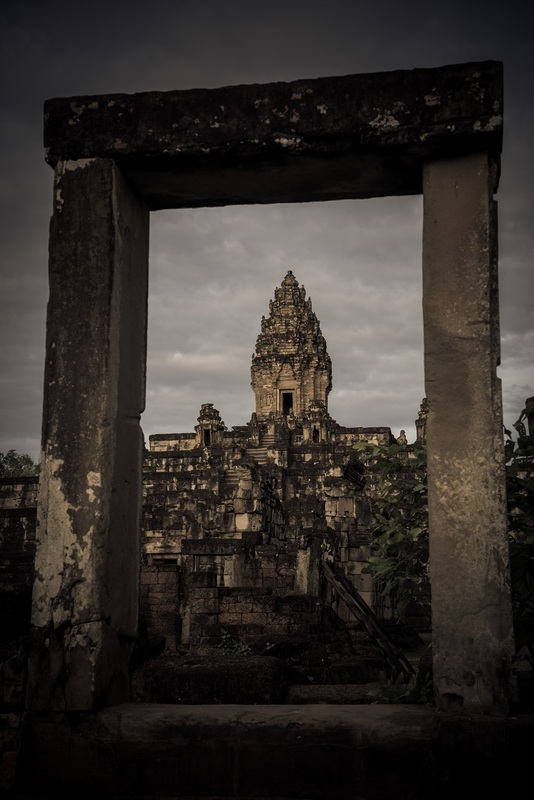 There are loads of temples at Angkor and all of them have something different and unique that makes them worth a visit. 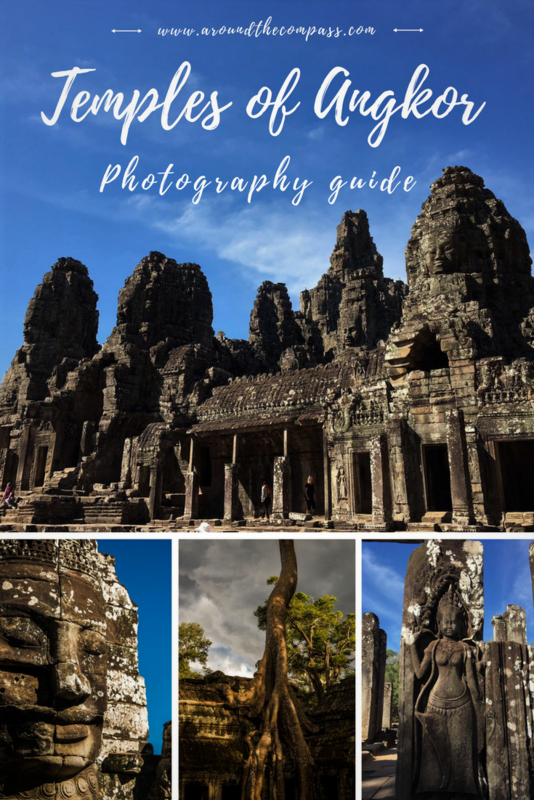 I am glad you find interesting the story behind it, looking forward to seeing your Angkor pictures. Wow, you guys definitely made the most of your time in the complex! I don’t think I’ve managed as many as you and I love your photos. 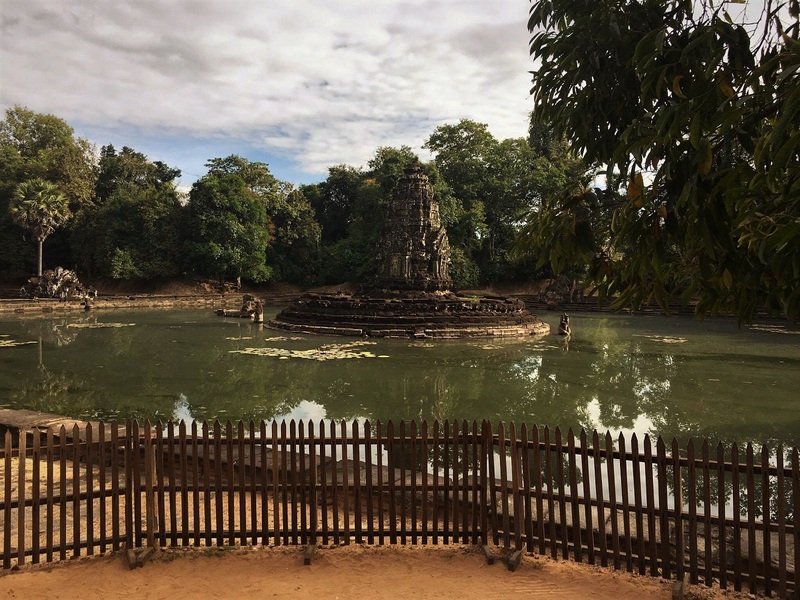 Don’t think I ventured to the Roluos temples – awesome that you got the opportunity! You’re making me miss Cambodia now! We tried our best to visit as much as possible in three days. I found it strange that not many people venture to Roluos temples because they are worth visiting – probably people focus more on the main temples which are more touristy. I miss Cambodia as well. Great photos! There is so much detail in the temples that I imagine you could shoot for days and still be finding new things to photograph. Thanks for the details. It’s a good starting point. Rob and Anne, this is do true – the details are impressive and there is not enough time to capture all of them. For this you will need to move there for a while. Great photos and tips! It’s always quite a challenge to get a good shot without all the people when it’s a popular tourist area. Thank you. We did struggle a bit to take pictures without the crowds – it’s all about patience. Nowadays, everywhere you go your expectations will not be the same as the reality, especially in touristy places. Thank you, Elisabeth. I will send you an email for more information. Stunning photography! You really know what you are talking about! Love the photo with the moving clouds and I always tend to just zoom in a bit if there is a big line for photos. Shortcut! 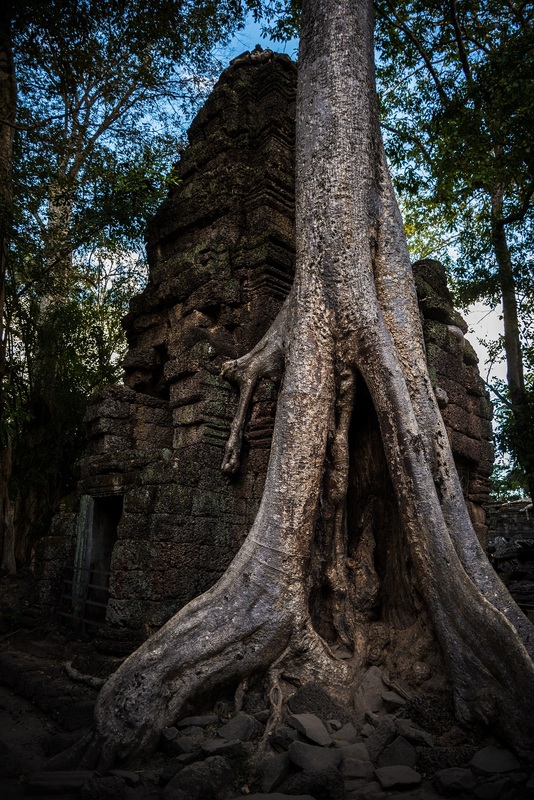 Would love to see nature claiming back the temples one day. Looks so mysterious and sparks my inner Lara Croft ha! Thank you, Kreete. Some of the temples was mysterious, especially the ones undertaken by nature. Nature that captures the ancient building is very impressive. You got excellent shots! Thank you, Sarah. I am glad you liked the post.